Fire up the grill. We’ll handle the rest. Whether you’re hosting a neighborhood cookout or bringing your own entrée to a friend’s gathering, our prepped meat, seafood and veggies are ready to be tossed on the grill and cooked to perfection. We’ve done the work for you, slicing, dicing, skewering and seasoning every bite. Choose from skewers loaded with marinated meat and vegetables, to seasoned beef, chicken and fish, to fresh, colorful vegetables and ready-to-serve sides. All you have to do is heat up the grates, kick back and relax in true cookout-season fashion. 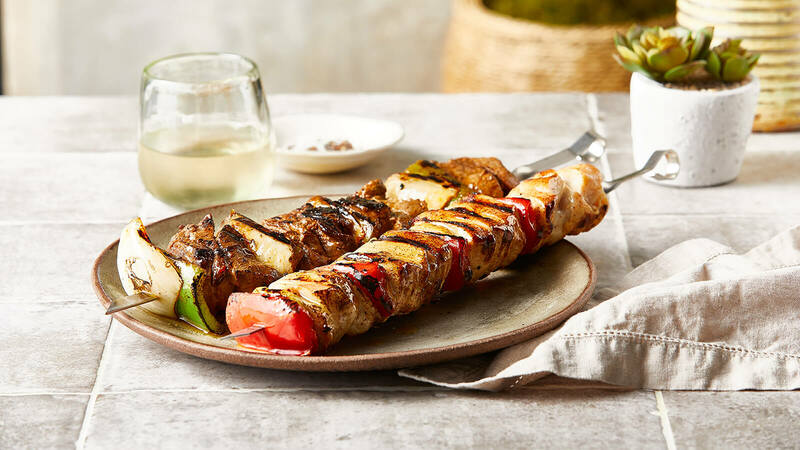 Here are a few reasons why you’ll love our skewers and kabobs: They’re filled with the perfect balance of fresh ingredients from our stores, they’re super easy to cook and they’re varied enough to please everyone at your backyard soiree. Our Ultimate Skewers deliver—flavor, quality and practicality. They’re long, sturdy, reusable cookout essentials. Not to mention they’re loaded with delicious ingredients you and your cookout companions will love. Steak-lovers, try our new Ultimate Steak Asada Skewer or Ultimate Bourbon Steak Skewer. Both include marinated sirloin steak and vegetables. We also have new ultimate skewers such as General Tso Chicken and Broccoli and Honey Sriracha Chicken, as well as Ultimate Hot & Sweet Italian Sausage Skewers made with our hot and sweet Italian sausages, fresh peppers and onions. 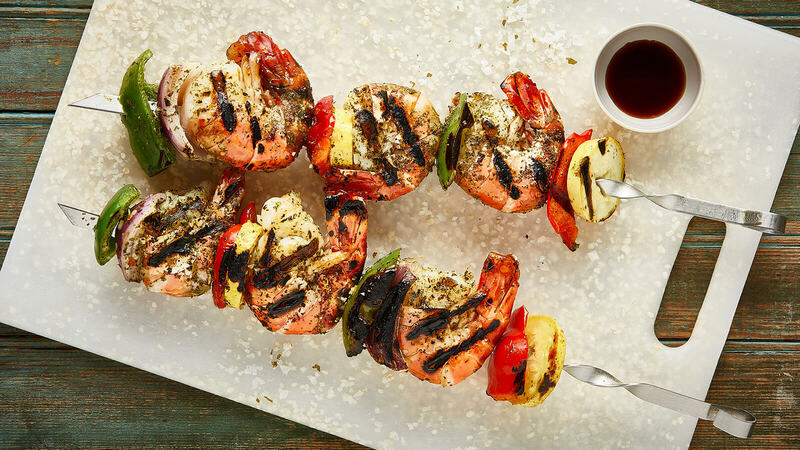 Our Seafood Skewers and Kabobs are perfect for summer cookouts. They cook quickly, so your guests won’t have to stay hungry for long. Choose between jumbo-sized shrimp, bacon-wrapped scallops, sashimi-grade tuna and tender swordfish steaks. Mix surf and turf flavors with our Bacon Wrapped Scallop Skewers. Savory bacon pairs perfectly with our tender, succulent scallops. Toss them on the grill until they're deeply browned with a crispy crust and delicate center. We also have a range of new reusable Ultimate Skewers. 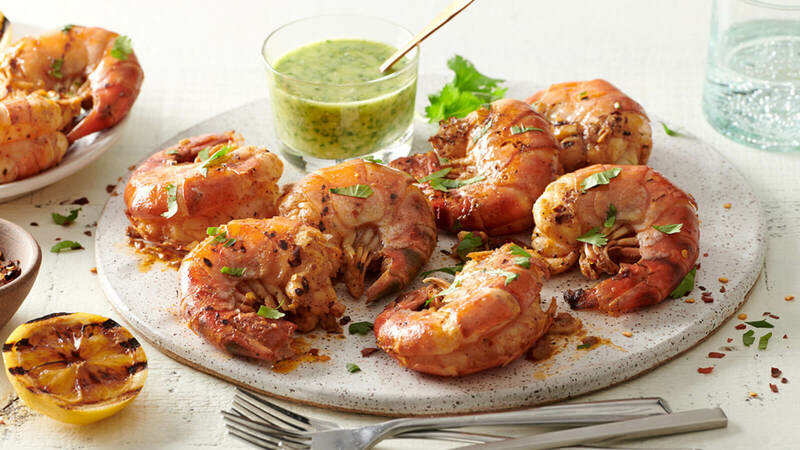 Two recipes include our new jumbo Easy Grill Shrimp. Choose between Italian herb seasoning or a punchy, citrusy blend of spices. If you're in the mood for fresh fish, try our Mango Chipotle Tuna. We've layered the skewer with perfect portions tuna, zucchini, squash, bell pepper and onion seasoned with our signature Mango Chipotle Rub. Or, opt for Swordfish Steak seasoned with The Fresh Market Signature Rub. We make our seasoned and marinated meat and seafood in-house with top-notch, flavorful ingredients. From hand-trimmed chicken breasts to skirt steak, pork chops, salmon and sole, there’s something for every surf and turf fan. If you’re looking for a foolproof way to grill fish fillets, try our cedar seafood planks. They create a stable surface for your fish and also add a delicious, smoky flavor to the finished fillet. 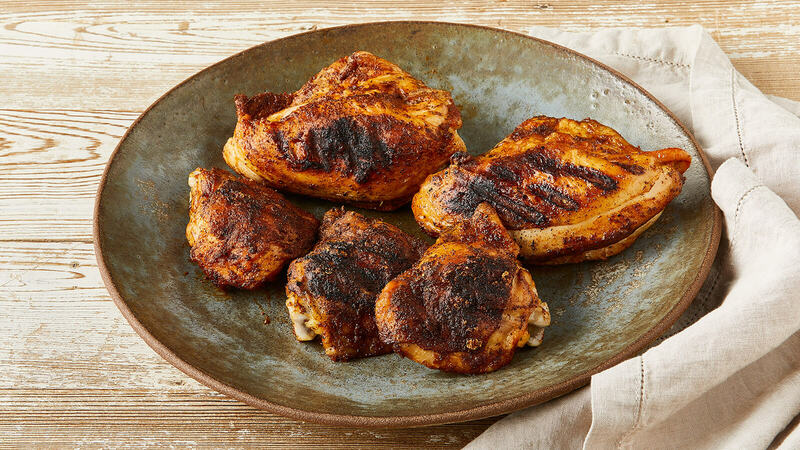 Our marinated chicken is made with antibiotic-free, hand-trimmed chicken breasts from chickens fed a 100% vegetarian diet. Flavors include Garlic Parmesan, Sesame Glazed, Sweet Chili and Bourbon. We also have Marinated Skirt Steak and Glazed Pork Chops. For seafood, try our Bourbon and Sesame Glazed Salmon fillets or Garlic Turbot. When you’re perusing our seasoned and marinated meat and seafood, don’t miss our new offerings: Maryland-Style Chicken and Creole Chicken. Both are available as breasts, thighs and drumsticks, rubbed in seasoning and ready to grill. We’ve left the bones intact for extra flavor. If you’re looking for an entrée that’s equal parts easy and delicious, our planks are always a solid choice. They’re quick to cook and rich in flavor. Our new planks are stacked with larger portions of shrimp and fish, in case you want to share—or keep more for yourself. We also offer single-serving planks, complete with a fresh protein and side. We’ve taken our fresh, seasoned seafood and nestled it on cedar planks. Once you place these on the grill, the seafood steam-cooks, retaining its moisture. It also picks up smoky, aromatic, woodsy flavors from the cedar plank. Our single-serving planks include a protein and side. Choose between marinated Salmon and Asparagus and Mediterranean Salmon with Brussels Sprouts. Both the salmon and the vegetables are seasoned and ready to cook. We also have new planks with larger portions of protein and no sides. These include a Blackened Shrimp Plank (4-6 shrimp per pound, so they’re hefty “shrimp”!) with Cajun seasoning, a Rustic Italian Swordfish Plank and Rustic Italian Trout Plank rubbed in classic Italian seasoning, a Sesame Garlic Tuna Plank featuring Sashimi-grade tuna rolled in black sesame seeds and garlic, and a Maple Bacon Trout Plank starring tender, farm-raised trout. Our Colossal Grilling Shrimp are extra large in size, coming in at 4-6 shrimp per pound, and equally big on flavor. You can skewer, plank or simply place them on the grill without extra support to keep them on the grate. They’re available solo, ready to be marinated and grilled, or pre-seasoned and planked. Grill them in-shell to protect the meat and preserve the flavor - they’re already prepped for easy peeling when it’s time to eat! Our made-in-store vegetable entrées are perfect for adding vegetarian-friendly variety to your cookout. 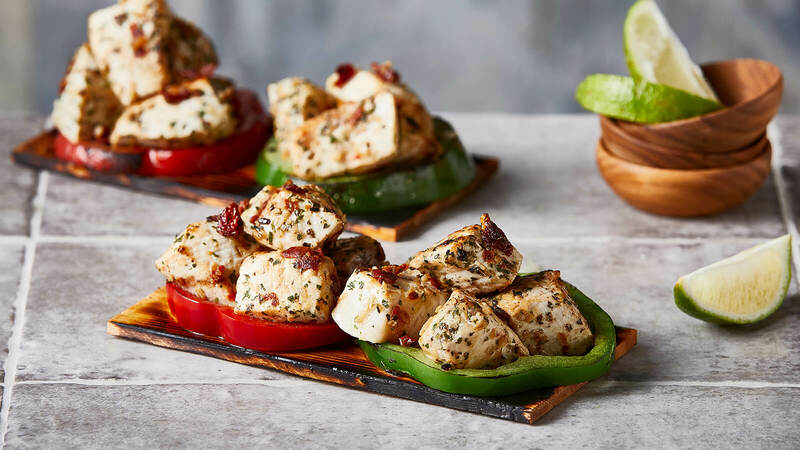 Add some veggie kabobs to your spread, or opt for a Vegetable Grilling Kit complete with pre-cut, fresh vegetables and savory grilling sauce. We also have a simply-seasoned Grilling Squash Medley that’s versatile enough to go with just about anything. Can’t get enough kabobs? 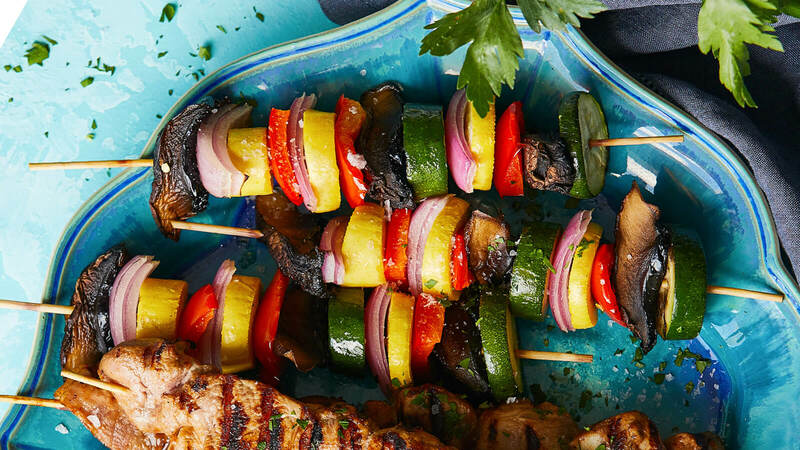 We make our Tropical and Veggie Kabobs in-store—Tropical Kabobs are lined with pineapple, red onion, red bell peppers, white mushrooms, while our Veggie Kabobs feature perfectly-sliced Portobello mushrooms, red peppers, onions, zucchini and squash. Our Vegetable Grilling Kit is also made in store with cut bell peppers, sliced Portobello mushroom, red onion, summer squash and asparagus, along with teriyaki grilling sauce. Serve these grilled veggies as an entrée paired with cookout-friendly sides, or as a flavorful accompaniment to our meat and seafood. If you’re looking for vegetables that mix well with others, our Grilling Squash Medley includes sliced zucchini and yellow squash seasoned with olive oil, salt and pepper. Fill out your plate with cookout-worthy, seasonal sides. Each one delivers homemade flavor, with zero effort on your part. Choose from a vibrant variety of made-in-store pasta salads, baked beans, fruits, grains and vegetables. An easy alternative to salsa, and easier on the wallet than actual caviar. 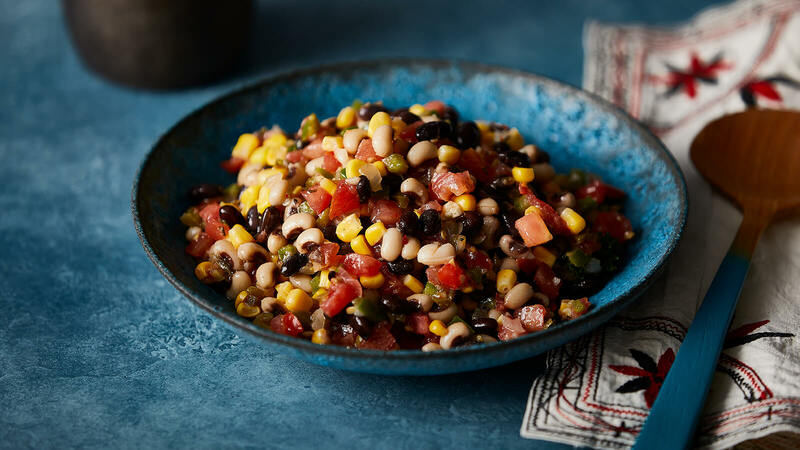 Ours is made with black eyed peas, black beans, corn, tomatoes, green peppers, onions and jalapeño tossed in a light vinaigrette. Serve it in a large bowl with The Fresh Market Organic Tortilla Chips on the side. Your guests will keep coming back for more! 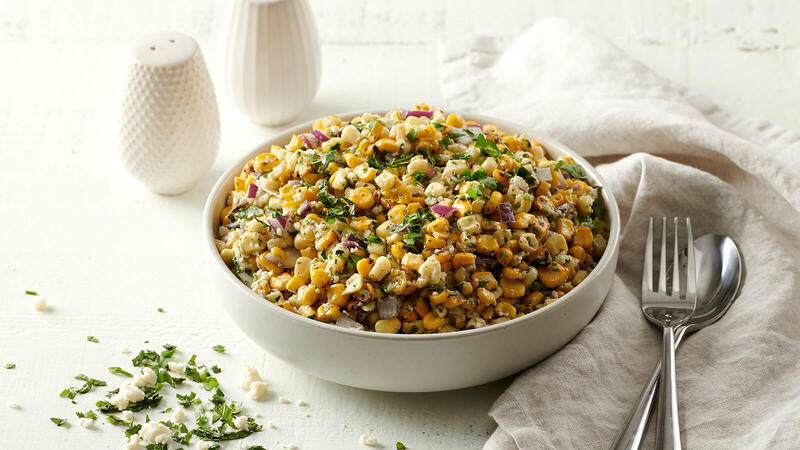 If you’ve never had Mexican-style corn salad (i.e. Elote), you’re in for a treat. We make ours with a blend of corn and jalapeños, queso fresco cheese, red onion, fresh lime juice and a dash of cumin. This side is delicious served with grilled entrées or eaten as a dip with The Fresh Market Organic Tortilla Chips. Treat your guests to savory, flavorful baked beans. 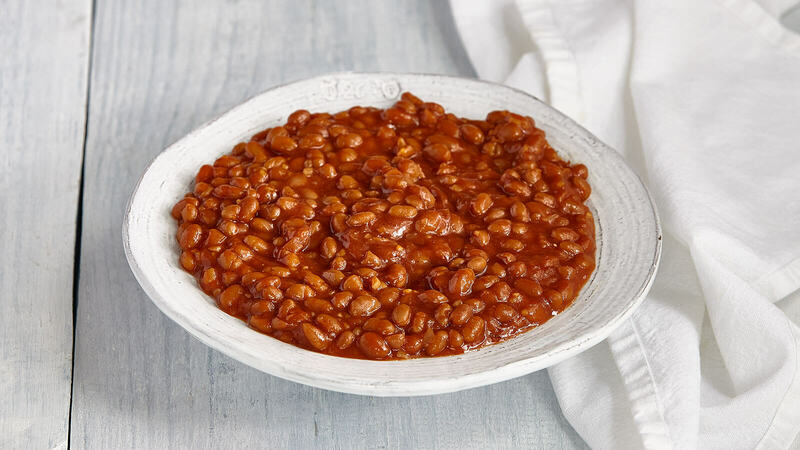 Our Smokehouse BBQ Beans are a summer cookout essential and easily pair with any entrée. Serve them at your next gathering or bring them with you to your neighbor’s cookout (if they ask for the recipe, say it’s a secret). 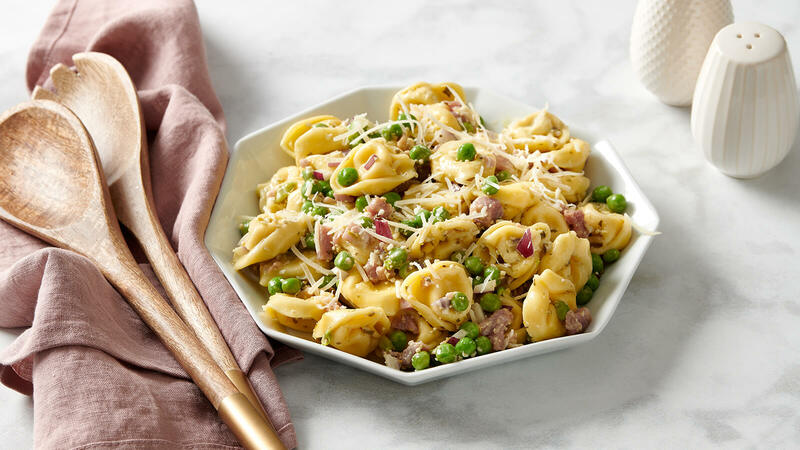 We make this pasta salad in-store with Drake’s Asiago Tortellini, Del Duca Diced Prosciutto, Parmesan, green peas and red onion tossed in Cindy’s Mexican Pepita Caesar Dressing. It’s so satisfying, you’ll be tempted to enjoy it as your main course! 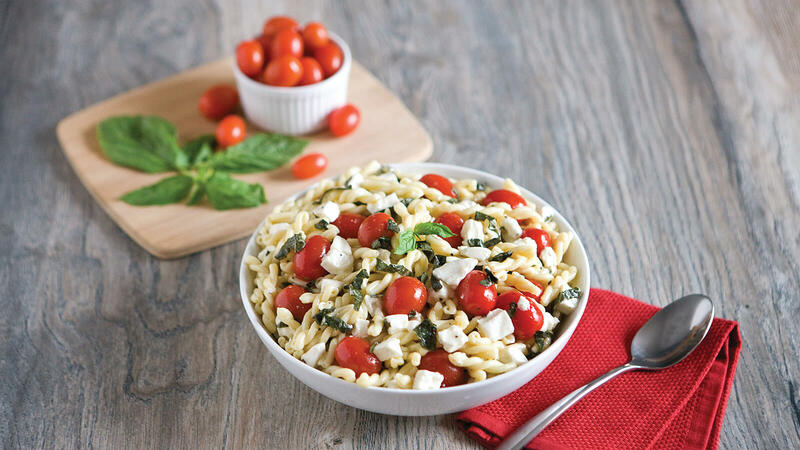 This made-in-store salad features Marzetti Gemelli pasta, fresh mozzarella, grape tomatoes, fresh basil and Cindy’s White Balsamic Vinaigrette. It’s light, refreshing and perfect for outdoor meals and get-togethers. Look for this new item in our deli case. 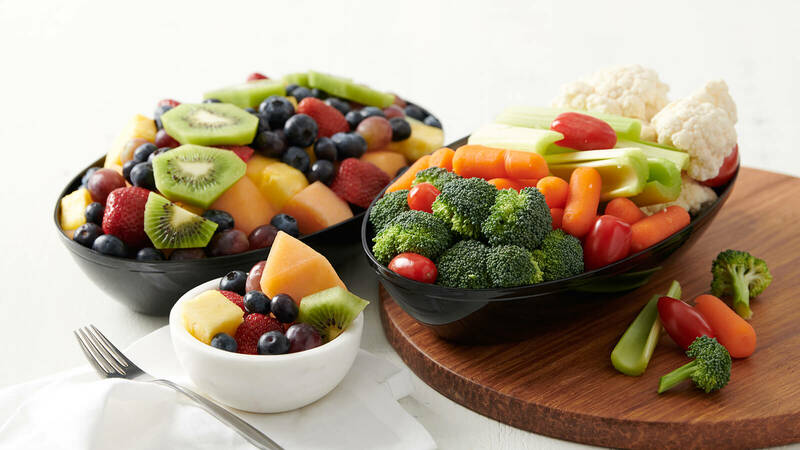 Our Medley Bowls offer a bounty of freshly-prepared fruit and vegetables for any gathering. Each one is perfectly arranged for a bright and beautiful presentation. Choose from blends of fresh fruit like melon, trimmed strawberries, blueberries, grapes and kiwi, or fresh veggies like cauliflower, celery, carrots, broccoli and tomatoes. 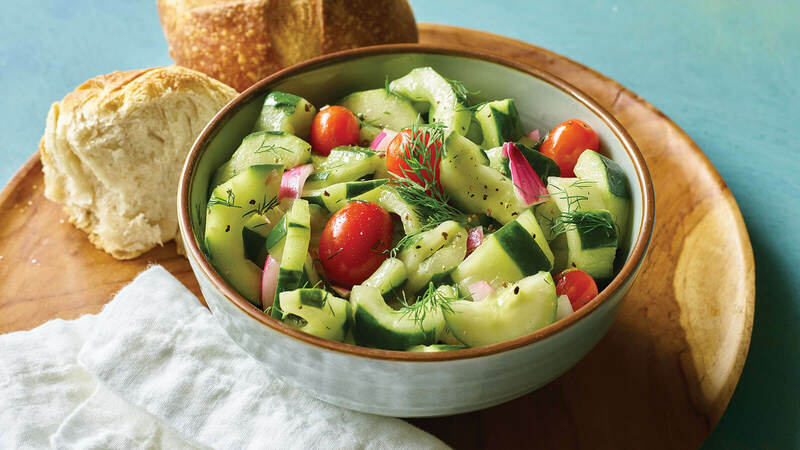 Fresh and light, our Dilly Cucumber Salad is made fresh in store with crunchy cucumbers, juicy grape tomatoes, bright red onion and aromatic fresh dill. Zesty garlic vinaigrette adds savory flavor that binds the ingredients together.